Congratulations to incoming YJA Executive Board for 2016-2017. Please send your entries by October 17 for an essay competition on ‘Practicing Ahimsa In Our Daily Life’. Details are mentioned below. The essence of all knowledge consists in not committing violence. The doctrine of ahimsa is nothing but the observance of equality i.e. the realization that just as I do not like misery, others also do not like it. Being a true follower of Jainism, he refused to give such offerings. As a result of going against the Devi, she harmed Kumarpal by giving a disease. 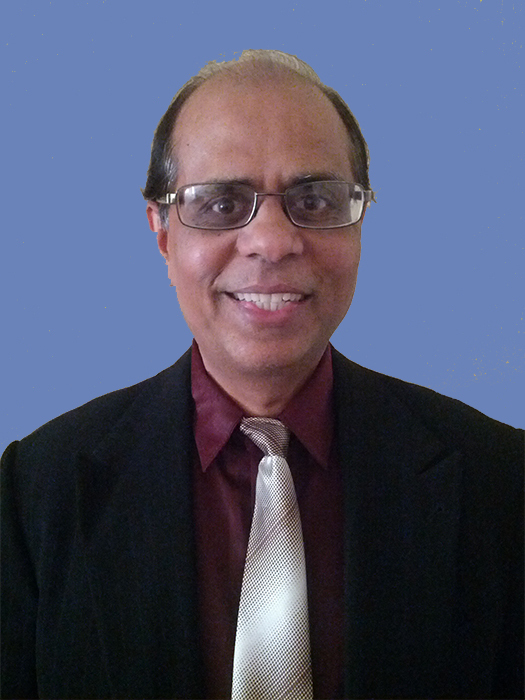 However, Kumarpal did ot break his vow. His disease was easily cured by Saint Kalikalsarvagya Hemchandra Acharya. We can see that how our religion helps us and no one can harm us if we are right. There are more examples of King Kumarpal. Once he was doing poushad and suddenly a bug stuck to his feet. He had just two options either to kill the bug or let it stay there. Following Ahimsa, he cut part of his skin and saved the life of the bug. King Kumarpal was having lunch and suddenly he thought of non-vegetarian food. The thought hurt him so much that he decided to repent. The next day, he took a vow that he would not eat for a day. Kumarpal was so dedicated to Ahimsa that even if he uttered any harmful words, he did upavas. This shows that how truly he followed the path of Ahimsa. In our daily lives, we can also follow Ahimsa easily. We just need to be cautious while doing our daily work and ensure that no insect or creature is harmed intentionally or unintentionally. While doing our daily chores, we can strive to save small lives. Practicing Ahimsa is so easy but we often miss out on these small things. 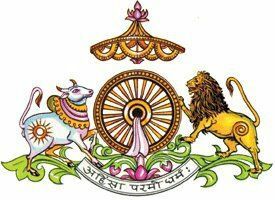 We are always engrossed in our busy schedule that we forget to care about others .A little more cautiousness in our daily life will benefit all of us and we can easily follow the path laid out by Lord Mahavir. 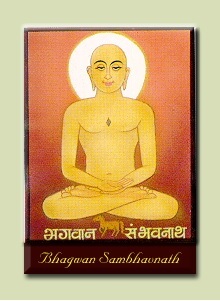 Sambhavnath Bhagwan is the 3rd Tirthankar of the Avsarpani Kal. He was born to father King Jitari and mother Sena Devi. He was born in Shravasti Nagri. His symbol is Horse and had 102 gandhars. Sambhavnath Bhagwan attained nirvana at Samet Shikhar. Bhagwan took 3 bhavs to attain nirvana after Samiyak Darshan. Bhagwan Sambhavnath was a king of Kshempuri. His name was Vipul Vahan. He was one of the finest kings and was full of mercy and karuna. The Nagari experienced draught and there were extreme situations where everyone faced a lot of difficulties. Lack of rainfall created scarcity of crops. Normal public could survive by eating all kinds of vegetables including underground vegetables but the question was about the sadhus and the sadhvis. King Vipul Vahan decided to make food for all the sadhus, sadhvis, shravak, and shravika from his own stock in order to save them from this tragedy. And by this act he attained Samyak Darshan. After Keval Gyan, the topic of his first sermon was anitya bhavna. If we follow the theory of Anitya Bhavna we can save ourselves from Ashubh dhyan (Aarth Dhyan). JAINA provided many other Services including regular Newsletters, Social Media updates, informative website, holding peace conferences in White House and Capitol Hill etc.. In addition, we are currently developing 24x7 Smart Jain TV for YOU at a significant cost. 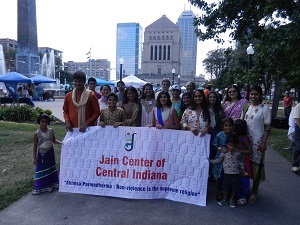 Our goal is to raise $ 50,000 by end of this year to build on success of last year and better serve Jain Community. Please note that JAINA is conducting such fund raising for the first time in last 2 years. THANKS for your donation – any amount is deeply appreciated. Your donation is tax deductible and receipt will be provided per IRS Guidelines. Please click on link below. 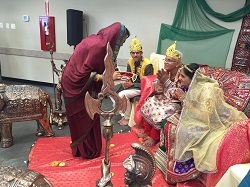 Edmonton Jain Samaj (EJS) celebrated Paryushan and Das Lakhshana Parv with great success. Mahavir Janma Vanchan was organized on Sep 3, 2016 and more than 120 devotees attended the event. There was tremendous interest in Ghee Boli to get various labh such as take Bhagwan Mahavira at home, read Kalpasutra, participate as Indra and Indrani, Mahalaxmi Ji Swapna etc. At the end of Paryushan and Das Lakhshana Parv tapasvi bahuman (appreciation) was done by Sangh. Volunteers cooked fresh Jain food for all attendees. Lots of efforts and hours invested by committee, sangh and volunteers to upkeep EJS and spread words of Mahavira to all. 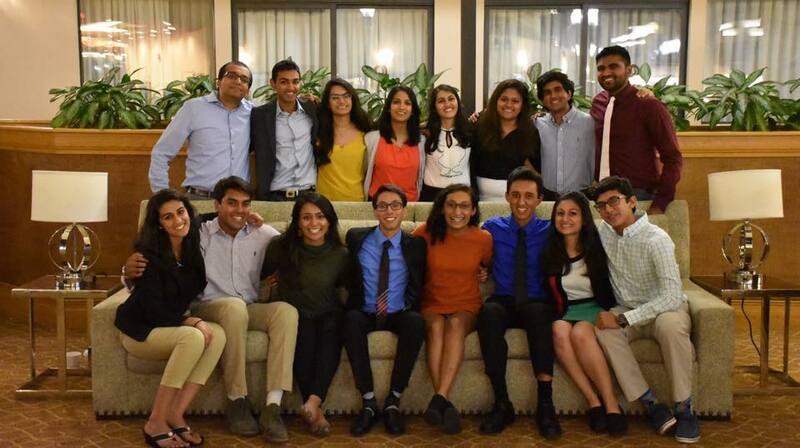 Young Jains of America is excited to introduce their 2016-2017 Executive Board! Please welcome them to JAINA family.